Calvin Scharffs is a dedicated executive with over 20 years of experience managing products, sales, marketing, operations, and personnel. His experience ranges from working with small startups all the way to Fortune 500 companies. Currently, he is the Vice President of Marketing at Lingotek, a cloud-based translation services provider that offers translation management software and professional linguistic services. Before joining Lingotek in 2010, Calvin was the VP of Product Management atSendside Networks, a Utah-based technology company. And before that, he was VP Group Director of Operations for the McCann Workgroup, which is the world’s largest advertising agency network. Calvin has also been a successful entrepreneur: back in the 1990s, he was the founder CEO of a Internet Service Provider startup called Digital Planet, which was acquired by the Citadel Broadcasting Corporation two years into the business. Calvin is a regular contributor to industry blogs and a frequent speaker at industry conferences. 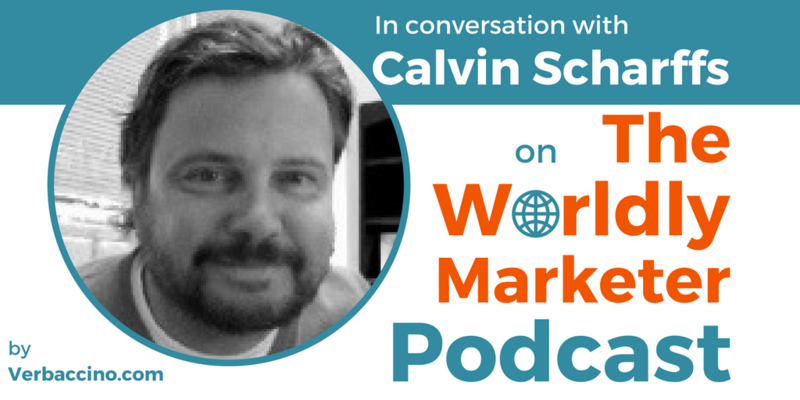 I first met him at the LocWorld Conference in Montreal, in October 2016, where he was a panelist discussing the role of localization in social media marketing.